Contractors: Shenzhen Qianhai Shekou Free Trade Investment Development Co., Ltd.. 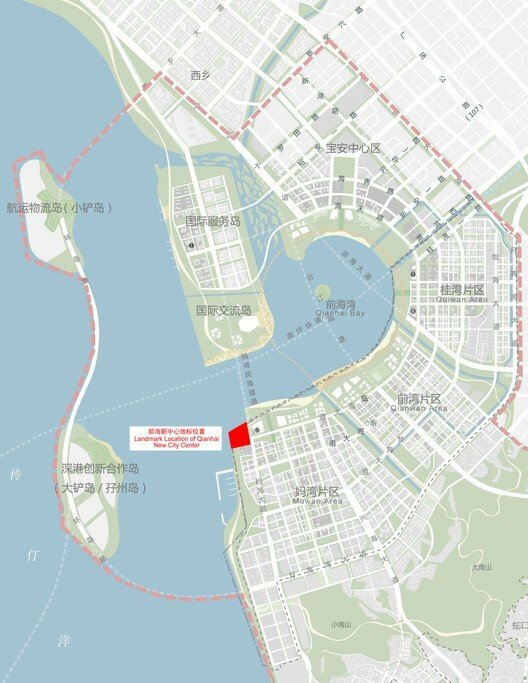 The landmark is to be located at the waterfront on the Northwest side of Kaifong, Unit 17, Ma Wan Area, Qianhai, Shenzhen. 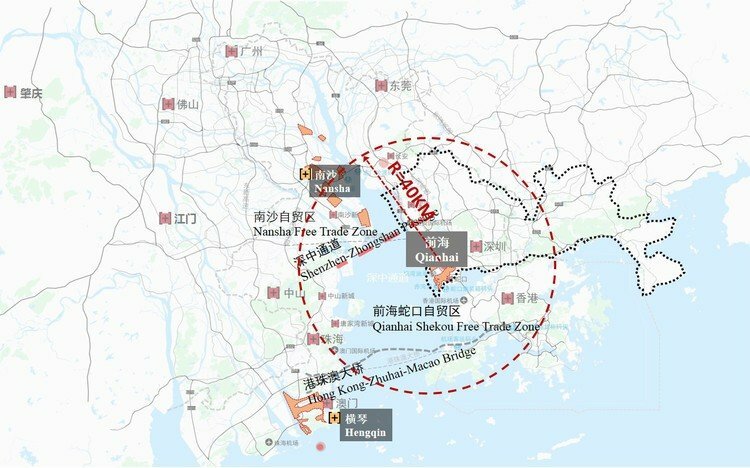 As the fourth largest Bay area in the world, the Guangdong, Hong Kong and Macao Dawan District is an important space carrier for China to build world-class urban agglomerations and participate in global cooperation. According to the requirements of “relying on Hong Kong, serving the Mainland, and facing the world”, Qianhai has assumed a number of national strategic positions such as free trade experimentation, and innovation-driven development of the “Four Major National Strategic Missions.” It is important to create a global landmark that represents the image of the Taiwan District of Guangdong, HK and Macao and promotes the spirit of the SAR. 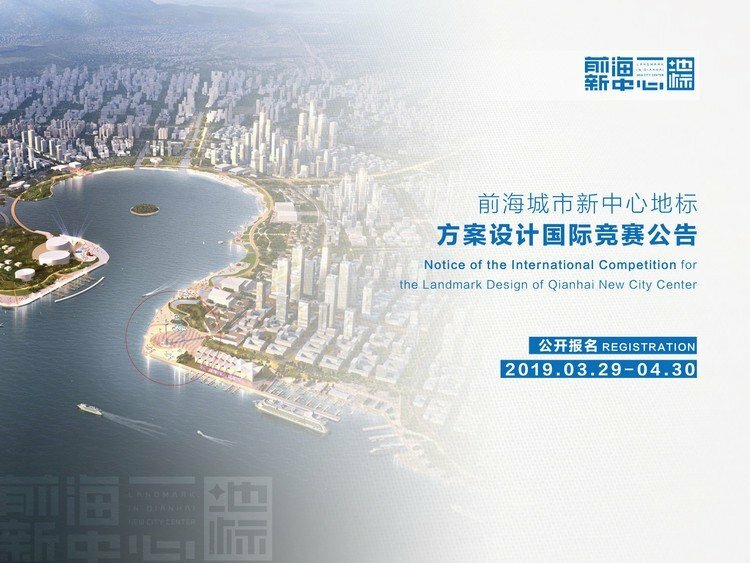 According to the Shenzhen Municipal Government’s work deployment, we are now launching an international competition for the design of a new landmark plan for Qianhai City for outstanding designers and professional teams at home and abroad to participate. We hope to solicit the most creative and international design solutions and create a new logo for the new urban center in Hong Kong, Macao and Guangdong. 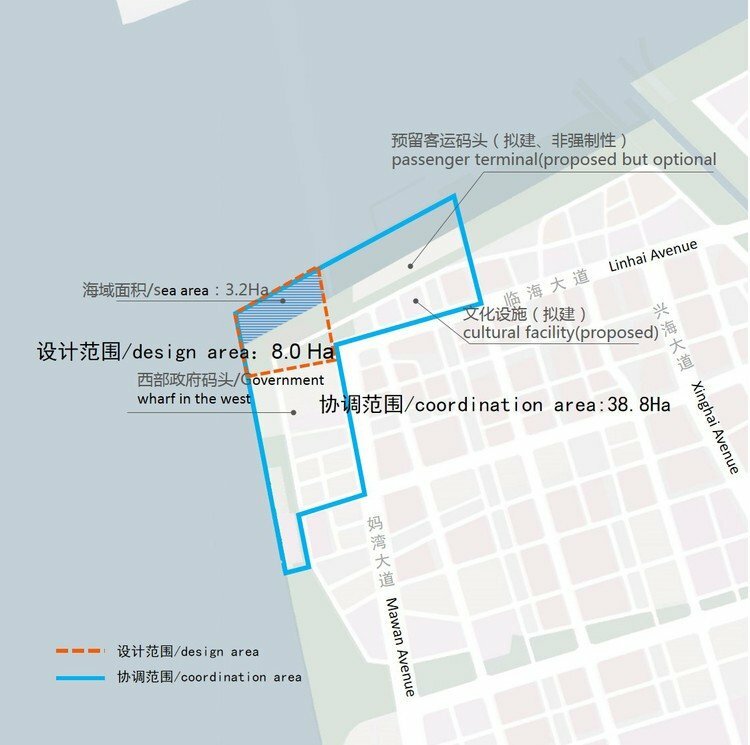 1) Design area (8 hectares), of which 3.2 hectares of sea area and 4.8 hectares of land area. The specific location of the landmark is proposed by the design unit. 2) Coordination area (38.8 hectares), taking into account the spatial relationship between landmarks and the eastern and southern coastal ecological leisure parks, and integrating the functions, landscapes, facilities, slow travel, morphology, and surrounding municipal conditions of landmarks and their surrounding areas. Combined with the existing planning and project plans of adjacent plots (public facilities such as passenger terminals), relevant planning proposals that meet the needs of new landmarks in the world-class Bay Area are put forward. Excellence Award (3): Each bonus is RMB 1 million (approximately US$ 150,000). If a pre-qualified public entry shortlisted entity submits a qualified outcome document but does not win the winning award, each shall receive a design compensation fee of RMB 400,000. Bonus and compensation are not superimposed. The participating units that fail to submit the result documents shall not be compensated for their expenses.